The Warming Trend Photo courtesy of George Krieger Man, I really wish I could get more info on this one. Located who I think is a member of this recording, but she won't return my e-mails. Also located the producer (Dugg Duggan)...and nope, not a word. Private issue breezy femme folk on the TWT label. 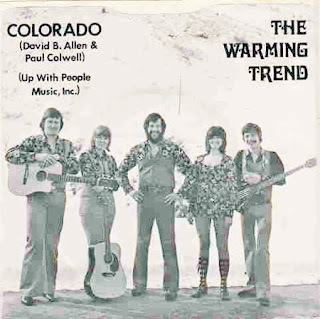 Photo courtesy of George Krieger Listen to a sample Flip side is a hootenanny style tribute to Colorado,written by David B. Allen and Paul Coldwell (Up With People). I found another reference to a second Warming Trend single, "Never Ending Rain!" 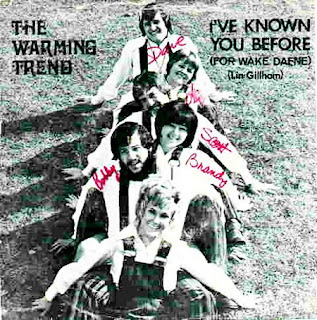 / "It Wasn't Very Long Ago," on the Klass label (6943). 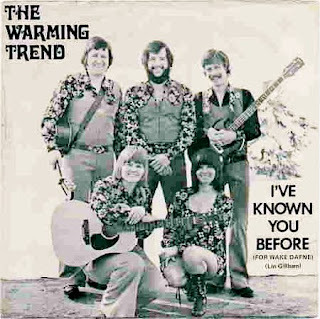 The lead singer is Mark Klass. 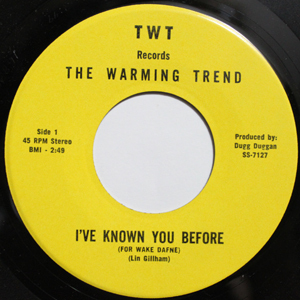 No clue if this was released before, or after the record posted above. As noted in the autographed record sleeve below, there isn't a Mark. Found a very small reference to the group in a 1968 Billboard. 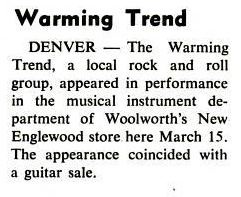 That same year, Warming Trend appeared with the group Action Brass, at McEwen Music Company (8460 W. Colfax) for some "Magnavox celebration." Photo courtesy of George Krieger The only other hint is an alternative picture sleeve cover, which just happens to be autographed (and also shows six group members, instead of five on the other one - note the names: Dave, Lin, Scott, Bobby and Brandy).